Ookpik's Negativity: What Kind Of Airplane Is That? John from Troy, MI was close, but no kewpie doll, John! 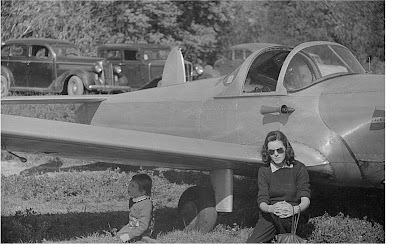 The airplae is an ERCOUPE, designed and built following WW2 by ERCO (Engineering and Research Corporation), in Maryland. They were fun to fly, but a Globe Swift or even a Culver Cadet is more exciting.